COUPON: $1.00 off Wheat Thins Crunch Stix! A Real Crunchy Deal! 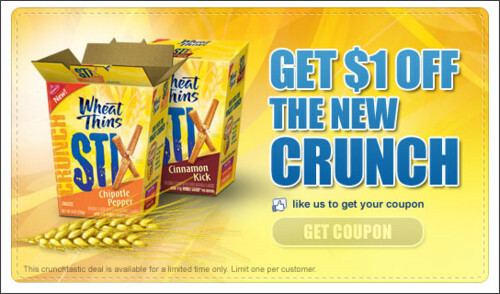 "Like" Wheat Thins on Facebook to get a $1.00 off one Wheat Thins Crunch Stix Coupon! With Super Doubles at Harris Teeter next week, this should make a crunchy deal!